The Treaty of the Pyrenees is the last major diplomatic achievement by Cardinal Mazarin. 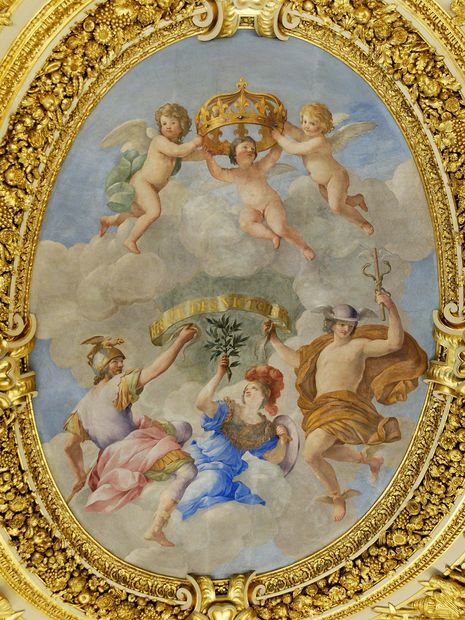 Combined with the Peace of Westphalia, it allowed Louis XIV remarkable stability and diplomatic advantage by means of a weakened Louis II de Bourbon, Prince de Condé and a weakened Spanish Crown, along the agreed dowry, which was an important element in the French king's strategy. All in all, in 1660, when the Swedish occupation of Poland finished, the entire European continent was at peace, and the Bourbons prevailed for the first time over the Habsburgs. 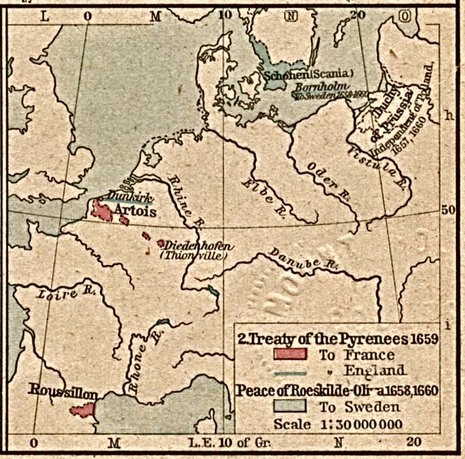 In the context of the territorial changes involved by the Treaty, France got some territorial gains, both in its northern and southern borders. In the north, France gained the French Flanders. 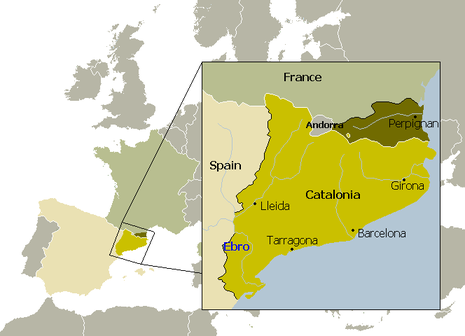 In the south, the pays of Roussillon, Conflent, Vallespir, Capcir and French Cerdagne, known nowadays in Catalonia as "Northern Catalonia" was transferred to France. Every year on 7 November, some Catalanists remember this event and demonstrate in Perpignan. Central Europe, Spain had but little prospect of being able to withstand an Anglo-French coalition. There was nothing for it but to submit. A suspension of hostilities between France, England, and Spain was signed as a preliminary to definitive negotiations. The plan of marriage with the Infanta threatened for an instant to fall through owing to the infatuation of Louis XIV. for Maria Mancini, Mazarin's niece, but the latter was unhesitatingly sacrificed by Mazarin to the political interests of France. The articles of peace were threshed out from August i3th to November 7, 1659, by Mazarin and Luis de Haro in person on the Ile des Faisans in the Bidassoa river, the frontier of France and Spain. By this treaty France triumphed over the Haps- burgs in Spain as she had already triumphed over the Hapsburgs in Austria in the Peace of Westphalia (1648), and it was by this treaty that the pre-eminence of France in Europe was established. The treaty is considered to be the nee plus ultra of seventeenth-century diplomacy.